Philip Hewitt describes himself as a “boy from Invercargill”, but a career in international relations means he is more well-travelled than most. Last year, Philip was appointed as Ambassador to Timor-Leste, his fourth international diplomatic posting. But despite his high-ranking position, Philip has maintained his humble Kiwi spirit. When I requested an interview with only a day’s notice he replied, “You know what, I can make that work.” Nā ALICE DIMOND. 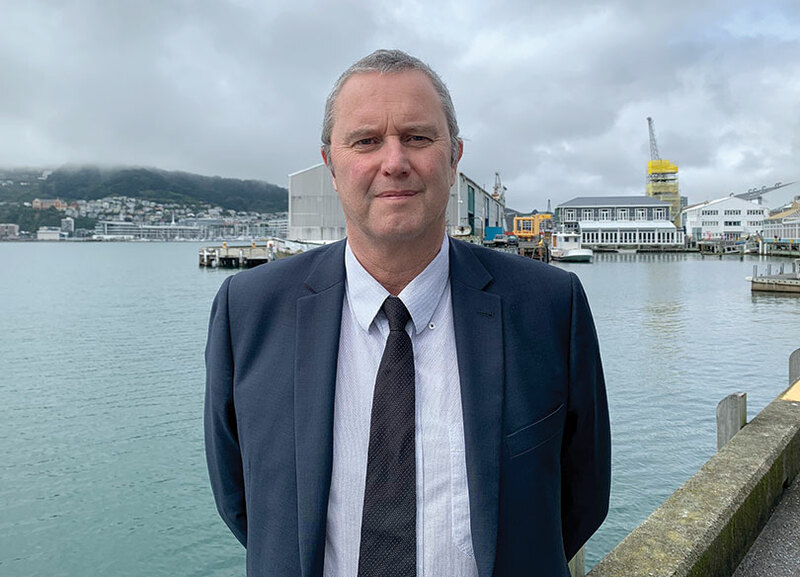 Above: Recently appointed Ambassador to Timor-Leste Philip Hewitt, photographed on the Wellington waterfront. Eighteen years ago Philip Hewitt (Ngāi Tahu – Te Rūnanga o Ōtākou) applied for a job at the Ministry of Foreign Affairs and Trade, which led to his first role in Aid and Development. From there, Philip hasn’t looked back. Beyond the politics and policies, Philip says the crux of his work is simply generating positive change. “I really just want to ensure everyone has a good chance of having a great life,” he says. In May, Philip will be relocating to Timor-Leste (also known as East Timor) for three years as part of his role as the New Zealand Ambassador to this small island nation. Timor-Leste, in Maritime Southeast Asia, consists of the eastern half of the island of Timor, the nearby islands of Atauro and Jaco, and Oecusse, an enclave on the western side of the island. Aside from Oecusse, the western half of the island is under the sovereignty of the Republic of Indonesia. In 1975, Timor-Leste was invaded by the Indonesian military. What followed was a decades-long occupation characterised by extremely violent conflict and oppression. Indonesia relinquished control of the territory in 1999 following United Nations intervention, and Timor-Leste was recognised as a sovereign state in 2002. New Zealand made a significant defence and security contribution to the establishment of the new nation, but as the situation has improved, our military and police became less involved and the focus has turned to supporting Timor-Leste’s growth into a stable, democratic, and prosperous nation. Philip’s role will support these efforts, and maintain the warm relationship that New Zealand and Timor-Leste share. Above: Philip with his father Richie, who has been instrumental in his reconnection to Ngāi Tahu. 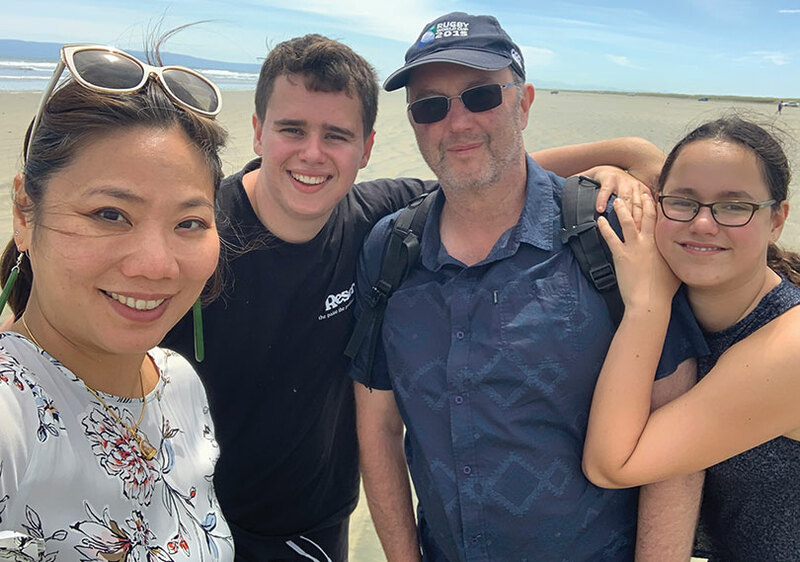 Philip visited Timor-Leste last year prior to his appointment and is reassured that although he will be far from New Zealand for the next three years, there are threads of connection that will keep him from feeling homesick. The Kiwi influence has extended so far that at one point Philip even heard the familiar tune of Pōkarekare Ana being sung by locals, and would often be greeted with a “Kia ora!” after he introduced himself as a New Zealander. These little snippets of home may help ease some of the challenges of moving offshore, but after a number of stints abroad, Philip says the real challenge is actually returning to New Zealand. But he is quick to state that the positive aspects to his international postings have always outweighed the negative. The opportunity to bring his children abroad with him has exposed them to a number of different cultures and broadened their perspective of the world. Their global upbringing means Philip’s children have spent time in developing countries with widespread poverty, and Philip says they were surprised when they returned to Aotearoa and realised that poverty exists here too. “When they came home there was a point where they were having to give other kids at school food. They were quite horrified,” says Philip. On a more positive note, spending recent years in Aotearoa has given the kids the opportunity to learn some te reo Māori. Philip’s wife and his father have also been learning, and Philip jokes that he’s struggling to keep up. “I think I am the only one who hasn’t learnt any Māori,” he laughs. 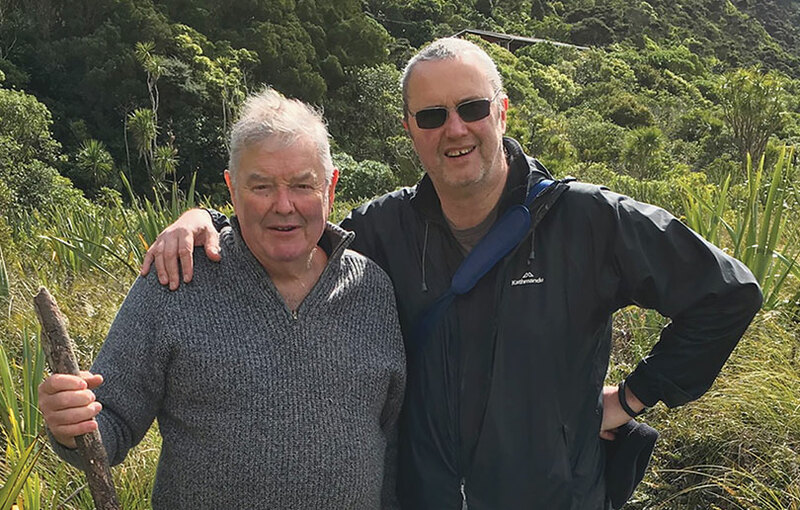 The early death of Philip’s maternal grandmother has meant that his connection to Ngāi Tahu has been more limited than he’d have liked, although he has always been proud of his whakapapa. “Ngāi Tahu gave me a real opportunity in education and I have never forgotten that,” he says. “It is something I will always be grateful for. Above: Philip with his wife Romchalee Kanokngamwitroj, son Jacob and daughter Alexandra. In recent years, it has actually been Philip’s Pākehā father who has reinvigorated the whānau connection, even reaching out to Puketeraki and Hokonui rūnanga and working with them over the last few years. His paternal grandparents have also had a huge impact on his life. 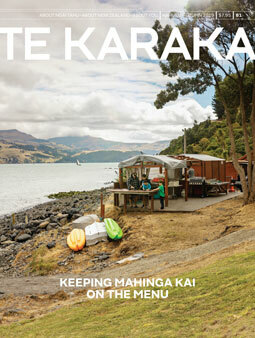 “My grandfather used to show us where Māori used to live and the remnants of their ovens. At the time I never thought about the fact that he was talking about my relations. They would have been Ngāi Tahu people, but as a child I never made that connection,” says Philip. Philip speaks fondly of his time spent with his grandfather as a child in Ōtākou at Te Hakapupu (Pleasant River), collecting mussels and pāua. “My grandfather taught us about sustainability and access and management of resources – things that have become so important these days. We never took more than we could eat.” These experiences, although seemingly simple, have grounded Philip and formed the person he is today, amid a successful career.